Funeral Services honoring David’s life will be held at the Piasecki-Althaus Funeral Home, 3720 39th Avenue on Monday, December 3, 2018 at 7:00 p.m.
A visitation will take place on Monday from 4:00 p.m. until the time of the service. In lieu of flowers, memorial remembrances to the family would be appreciated. Please choose the subscription settings below. You can change this anytime in your profile or by coming back to this obituary. 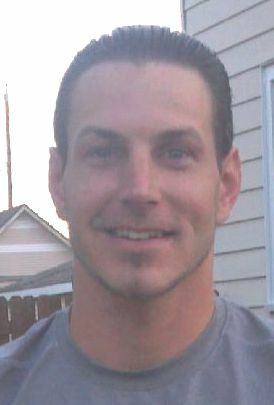 David Allen Stich, age 38 of Kenosha, passed away unexpectedly at his home on Thursday, November 22, 2018. He was born in Racine, WI on August 18, 1980 and was the son of Deanna (nee: Stich) Mahan. As a child he grew up and attended schools in Racine, WI and Las Vegas, NV only to return to Kenosha, WI in his adult life. He married the love of his life, Jennifer Hanson on April 27, 2017. He was the proud owner of J & D Tree Service. David had a love for the outdoors and obtained his degree in Horticulture and was a Certified Arborist. He was “Mr. Fix-It”. There was nothing he couldn’t fix. David enjoyed working on cars, fixing chain saws, sharpening saw blades, soaking in the sun, getting a tan, fishing, hunting, mushroom hunting for golden morels, climbing trees and splitting wood. David was a people person who was willing to help others. He loved children and his dogs, Dank, Marley and Daisy. David always had an unconditional love for life and his family. He is survived by his wife, Jennifer; his mother, Deanna Mahan; his “Dad”, Robert Savaglio; his two daughters, Breya Silguero and Hailey Stich; and two step-sons, Nicholas and Landyn Bixby. David is further survived by his sisters, Christina (Jeremy) Rothering and Ashley (Ryan) Doran; his brother, Shawn (Tiffany) West; his paternal grandmother, Janet Savaglio; and many loving nieces, nephews and extended family and friends. He was preceded in death by his paternal grandfather, Michael Savaglio, Sr. and his maternal grandparents, William Stich and Nancy Christensen.